GSD&M positions the shaving brand to move beyond razors with a conversation about what it means to be a man. If an alien crash-landed on Earth, how would a human explain masculinity to them? That’s the central question posed in a new spot released today by GSD&M for shaving startup Harry’s. 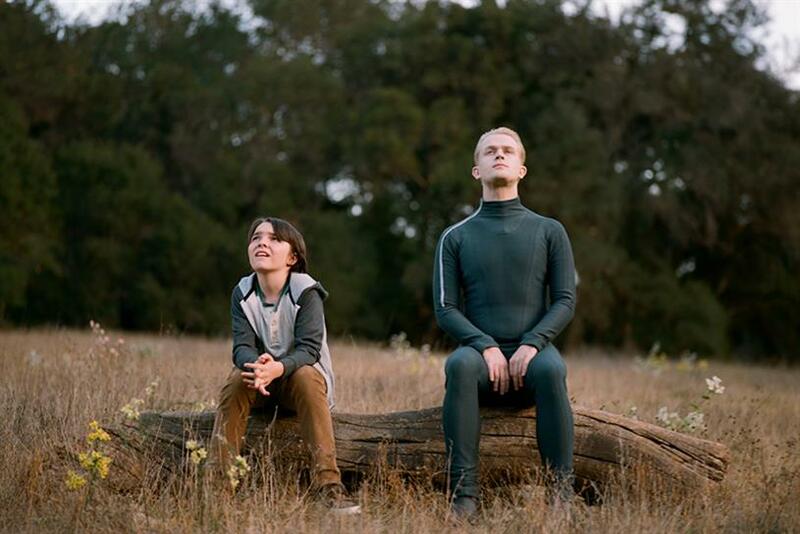 "A Man Like You" follows the story of a boy growing up without his dad (an astronaut on an away mission) who befriends an alien curious to learn what it means to be a man—a timely story considering the growing discussions around men’s mental health that have grown in volume in the wake of the Parkland shooting. "Masculinity is an uncomfortable subject to talk about at times, and an alien’s not the first thing you’d think of," said GSD&M Creative Director Brandon Curl. "We wanted to engage people in not necessarily an academic way but a more filmic way that would be entertaining and draw you in." "A Man Like You" has been in development since Harry’s brought GSD&M on board last June and is the first creative resulting from their partnership. The subscription service hired the agency to help them pivot from a startup to a fully-realized company. With the announcement earlier this month of a $112 million injection of venture funding, Harry’s plans to move beyond razors and into other personal care categories. "Most of their advertising was around their razors or their story, and they wanted to become a brand," said Curl. "They had a very personal mission around the idea of progressive masculinity, and they wanted to bring that message to the public and have a conversation." But how to have that conversation without turning it into a lecture presented a challenge for the team. They knew the social and digital campaign needed to be focused on a longform story, so they brainstormed ideas for scenarios that might facilitate a discussion of masculinity and landed "pretty quickly," said Curl, on featuring an alien as a central character. Next came the boy, who—without his dad to guide him—is also on a journey of personal discovery. "They’re mirroring each other—the boy is learning what it means to be a man from society, and the alien has no idea what those expectations are," said Dale Austin, creative director at GSD&M. "They get to explore this world together and see it from a clearer perspective." The team brought in over 100 actors for each role and settled on Quinn Armstrong, whom Curl praised for "bringing a lot of humanity" to the character, as the alien, and Cinjin Horst as the boy. Both are white and conventionally masculine. "We cast a wide net and cast the actors who were best for the roles," Curl explained. GSD&M wasn’t the only collaborator on the campaign. Harry’s has an ongoing relationship with The Representation Project, a nonprofit that uses film and media to facilitate cultural conversations about dismantling stereotypes. Their 2015 documentary "The Mask You Live In," which explores the deeply damaging effects on boys and men of toxic masculinity, served as a major inspiration as GSD&M worked on the script for "A Man Like You." "The film is about the distinction between what makes a real man versus what makes a good man, which is really about what makes a good human," said Curl. "That point of view strongly influenced the themes of our film." It’s also strongly influenced Harry’s identity, and "A Man Like You" is the first step in making that identity of inclusion clear as the company expands. "There’s the traditional idea that a guy has to be strong or tough or provide for his family, but they talked a lot about the ‘and’," Curl said. "You can be strong but also nurturing. You can be self-assured but also accepting of others. "Harry’s believes guys can embrace all these other things."